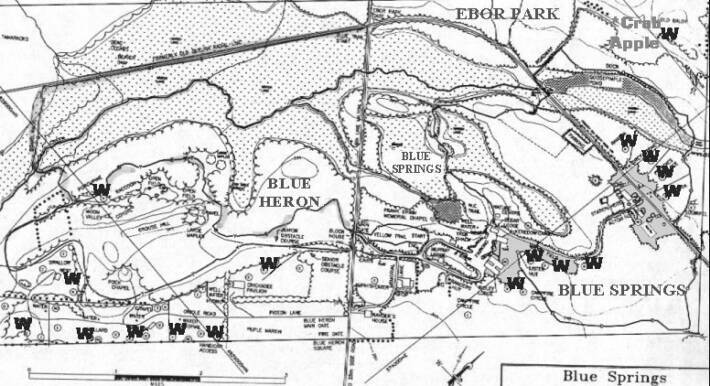 Here is a MAP of the Camp. Note that Whiskin and Ebor fields used for the marquees at the Gilwell Reunion are the solid light grey colour on the Blue Springs (right) side of the screen, notably with 4 washrooms (marked with a bold "W") at the perimter of each. Blue Heron (on the left) is used for parking and the sleeping area. Washrooms there are also marked with a bold "W".